Review Context: I have played From Software’s other works; Demon’s Souls, Dark Souls, and Dark Souls II for many, many hours. 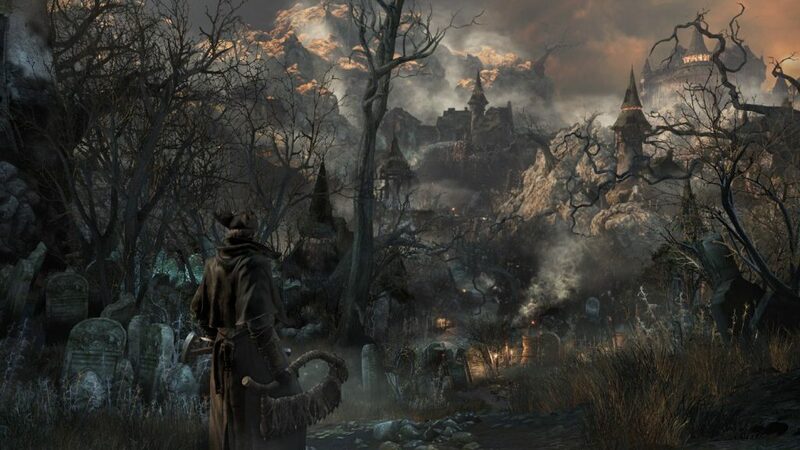 From Software knows how to develop a game and Bloodborne is no exception. For new players, be warned this game is challenging and it will be very punishing and very frustrating. However, despite the challenge and the time spent getting mad about losing dozens of Blood Echoes the game is very rewarding, and with that it can be very fun. The city of Yarnham is both an absolutely beautiful work that is eye catching and something you could get lost in just looking at the scenery and a terrifying place that will bring out your worse fears. The monster designs are well thought out, turning them into more than just another skeleton or werewolf. Giant grotesque boars charge and engorge you if you’re not paying attention, while their breath reeks so awful that it can be poisoning. The size and scale of some bosses can make you feel uneasy and underpowered when they climb over a large building to devour you. Even just walking through the streets of Yarnham and getting to a viewpoint to see how far you’ve come can be beautifully staggering. Of course there are some technical issues that cause a stir; falling through the level and entire sections of grounds not being loaded, giving the illusion of walking on air. It isn’t anything major or something that happens frequently, and something you may possibly not even experience. The story isn’t straightforward like a traditional game. This game encourages exploration to find out the story and the lore. Items, NPCs that survived, and messages scattered throughout the world build the story. Initially it let’s us know that Yarnham was supposed to be a city that held the cure to a incurable disease. After hearing of this tale and being infected you go to Yarnham to find that the story is not true and Yarnham has fallen to the epidemic. From here you have to navigate the monster-infested streets trying to put an end to the epidemic. The sounds in Yarnham set the atmosphere. If you have ever spent a night in an unfamiliar place then you know this feeling. The maddening silence only ever broken by the scrapping of weapons being dragged on the ground, chains being pulled around, and the eerie sounds of caws, growls, and screams from all the monsters trying to murder you at any moment. The soundtrack that accompanies Bloodborne is exhilarating, making intense boss fights even moreso. From Software likes to challenges players, and their previous games are both loved and hated because of that. Bloodborne does not shy away from this concept but makes it better. From Software’s previous games focused on defense and caution, while Bloodborne focuses on the action rewarding a player for playing aggressive. The hunter has to collect blood echoes to use as currency and experience points. Dying causes you to lose all your echoes and face a painfully long loading screen. While stats have been lessened compared to previous games, this seems to help flow into the overall focus of the game. Insight is also collected throughout the game by accomplishing certain tasks. You need Insight to open a special merchant in the hub world, the Hunter’s Dream, or to level up. While in combat you have a variety of attacks, even using the transformation of the weapons to do some extra damage. The challenge of the game can cause some players to get frustrated at a section or boss you simply can’t pass. This is where the multiplayer aspect comes in. You ring a bell to summon, but the negative thing about this is that it takes one insight way from you. If you are looking at connection problems or you die, you lose that one insight if you summoned a player or not. To be summoned by another player you need to have insight but it does not cost to be summoned. While connected to another player, your world becomes open to invasion from other players who are out to make you suffer, but you can assure yourself a safe online play by killing the woman who rings the sinister bell. While playing online you may experience some frame drops. Messages from other players will give you hints as to what is coming up in the game, though watch out for the messages that try to trick you. From Software also added in a system to make it easier to connect to friends you want to play with by simply setting up a password. Getting the small bell to be summoned is a pain and has caused not many players to be able to play online in the early game. To obtain the item, you need ten insights to open that special merchant in the Hunters Dream. Then you need to spend one insight to purchase it. It can be rather difficult to collect that many in the early game, and may cause players to wait a painfully long time for a player to be summoned into the game. The procedurally Chalice Dungeon is a lot of fun, adding a lot to the game’s replay value and you may want to think about bringing a friend because the Chalice Dungeon is not easy. One thing to warn players about is the new suspend mode on the Playstation 4 update 2.5. 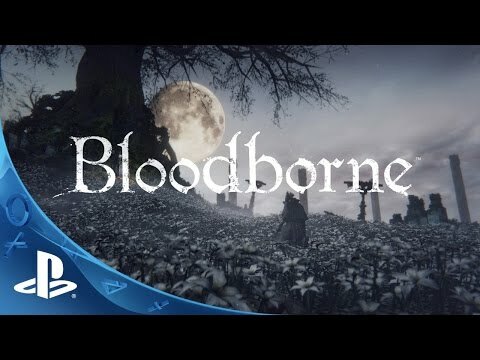 While it’s great to be able to turn off your machine and pick up exactly where you left off, be warned that suspending Bloodborne in Online Mode will cause connection issues, making you either getting dropped from the game entirely or you may not be able to connect to anyone at all. Though an easy fix is just to close out the game completely and restart it. 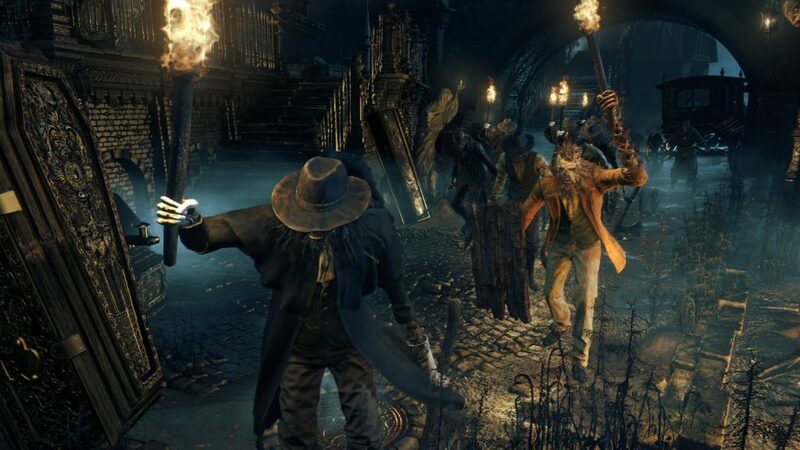 Bloodborne has a lot of flaws, but that doesn’t stop the game from being a really fun and addictive game. From Software has taken a core concept of something amazing and made it even better, all while staying true to that core concept. If you’re a Playstation 4 owner you owe it to yourself to check out this game.